In 2014, Cleveland's Playhouse Square underwent a major upgrade in its visibility as a district. Now, 3 large arches tower over the intersection of E. 14th and Euclid and suspended from those arches is a massive crystal chandelier. It is a four level, gaudy piece in crystal, that serves as a guiding light in the streets, and a glowing symbol of the city everywhere else. After its installation, the chandelier quickly became a landmark for tourists and natives alike. An icon of the rapidly growing theater scene in Cleveland, the chandelier is reminiscent of some of the chandeliers one might find inside the lobby of a posh theater on the West End or Broadway. 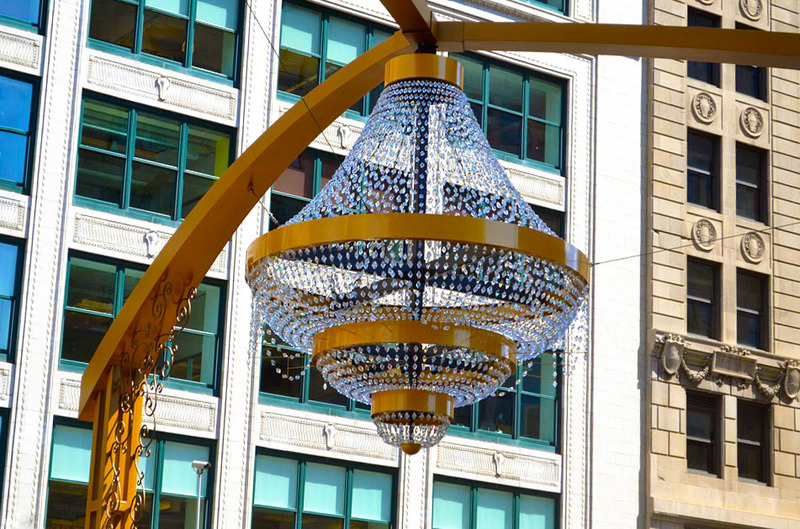 It marks the place where one can find the largest theater district between New York and Chicago, and it reminds everyone that passes underneath that Cleveland wasn't always a place where crystal chandeliers hung above the streets. It is a badge of honor for a city that has pulled itself up by its bootstraps and hurled itself into headlines with great success. 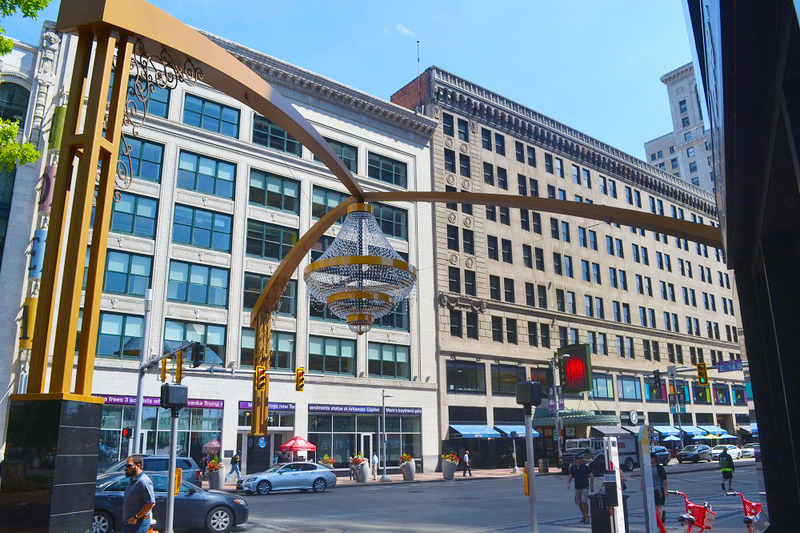 Signifying class, dignity, pride, and luxury, the Chandelier is a staple of Cleveland's image and a symbol of the city's recent reemergence into the national spotlight. 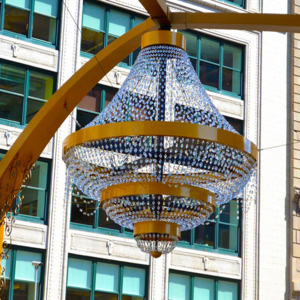 : Playhouse Square and NELA Park, “GE Chandelier at Playhouse Square,” Ohio Outdoor Sculpture Inventory, accessed April 18, 2019, http://oosi.sculpturecenter.org/items/show/1227.